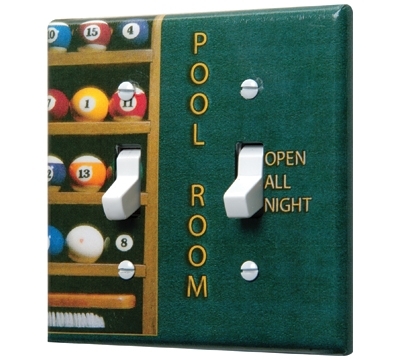 Our new pool switchplate covers give you a fun way to show your love of pool! Handcrafted in the USA and sealed with acrylic to prevent scratching or water damage. Hardware included.